A great test of concentration, memory and hand-eye co-ordination surrounded by glow in the dark theme, crazy shots and atmospheric sounds. 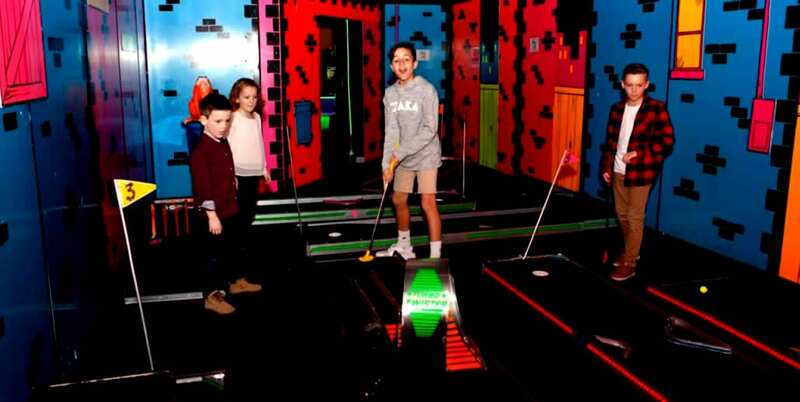 Mini Golf is a great activity for all the family and combines brains and dexterity to create a fun and exciting time for all. Even the maths wizard in the family will love keeping everyone in check on the score sheet. 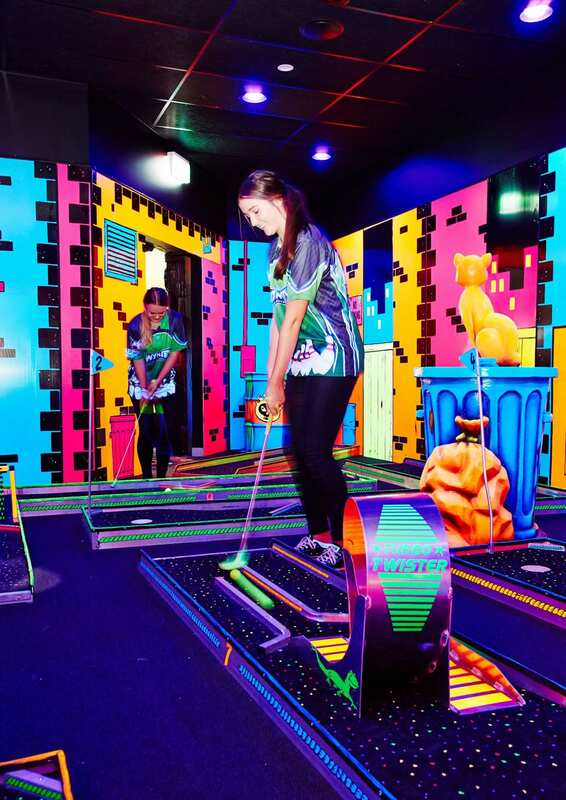 Our 9 hole course has been designed for multiple re-play-ability and priced accordingly allowing you to have a repeat round and try and beat your previous score, learn how to master each hole and enjoy a quick break between one of our other great activities. 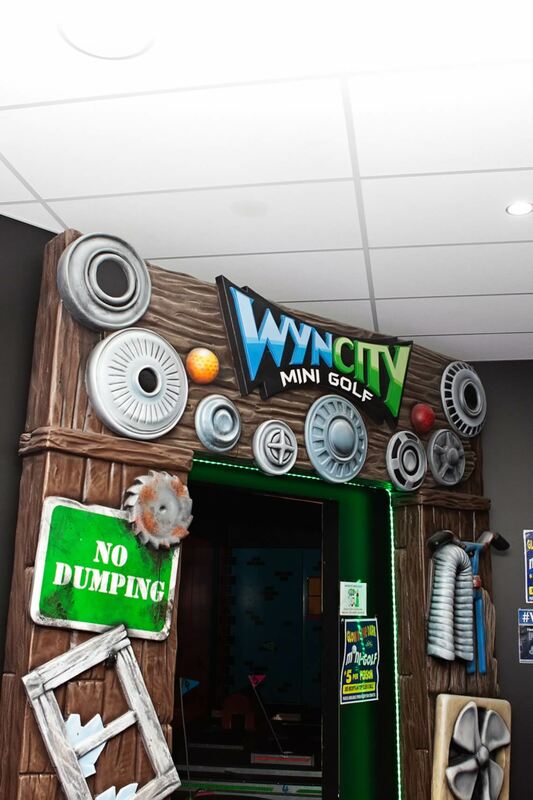 There are 9 holes of mini golf to test your skills.